“You feel full sooner,” Leo said. The balloon is about the size of a small grapefruit, Leo said. He had his procedure done under general anesthesia in late July 2018 – an outpatient procedure that lasted about 20 minutes. Typical side effects of the procedure include nausea, heartburn and acid reflux, but Leo, who’s 70 years old, said he had none of those afterward. He was on a liquid diet for the first week followed by a couple of weeks on soft foods. He has to avoid bread and pasta because they can stick to the balloon. But there is such a solution. A can of Diet Coke will scrub the balloon clean. Leo, however, has eliminated carbonated beverages from his diet and prefers to avoid bread and pasta. The FDA-approved intragastric balloon procedure has been available in Springfield only recently. 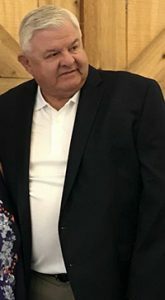 Orlando Icaza, MD, a Springfield Clinic weight-loss surgeon with the Memorial Weight Loss and Wellness Center, has implanted four so far, including Leo’s. Patients opting for the intragastric balloon procedure have no pain, a faster recovery and better cosmetic results over surgical weight-loss procedures, Dr. Icaza said. And what has been the outcome so far? “I instantly started seeing results,” Leo said. Almost four months after his procedure, Leo has lost 50 pounds, achieving his goal. He plans to lose more before his balloon is removed in January 2019. Leo’s energy level is “sky-high. And I never thought I had low energy before,” he said. He finds it easier to go up and down stairs, to change his shoes and to bend over to pick something up. His clothing fits better. And he can now walk the golf course to enjoy one of his favorite pastimes, instead of taking a golf cart. That’s especially gratifying because he can walk the links with his grandson, Adler, a senior at Springfield High School, who has been on the golf team all four years. Best of all, Leo said he no longer needs to take medication to control his blood pressure. However, the balloon was just the beginning of his weight-loss journey, Leo said. “The balloon is the positive reinforcement to jump-start your weight loss,” he said. Working with the clinicians at the Memorial Weight Loss and Wellness Center, Leo has been learning how to change his lifestyle, which includes making smart decisions about the amount and types of foods he eats as well as increasing his physical activity. When the balloon is removed in January, Leo will have learned the skills he needs to maintain his weight loss. 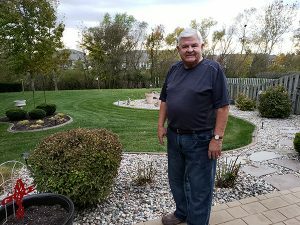 While the procedure is not yet covered by insurance, Leo and others who have paid for the intragastric balloon out of pocket are hopeful that insurance companies will reconsider when they see the benefit of helping people who are struggling with weight loss to improve their health. Leo is also grateful for the support from his wife, Rhonda, as he tackled this big change in his life, but Rhonda said she had every reason to be supportive. Interested in intragastric balloon? Learn more about the procedure offered at Memorial Weight Loss and Wellness Center. 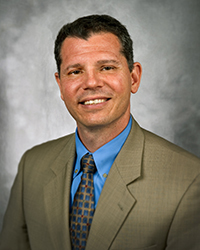 Orlando Icaza, MD, is a general surgeon with Springfield Clinic, specializing in bariatric and laparoscopic surgery. He is a graduate of the University of Missouri-Columbia School of Medicine and completed his residency at Southern Illinois University School of Medicine in Springfield. He is board certified by the American Board of Surgery.